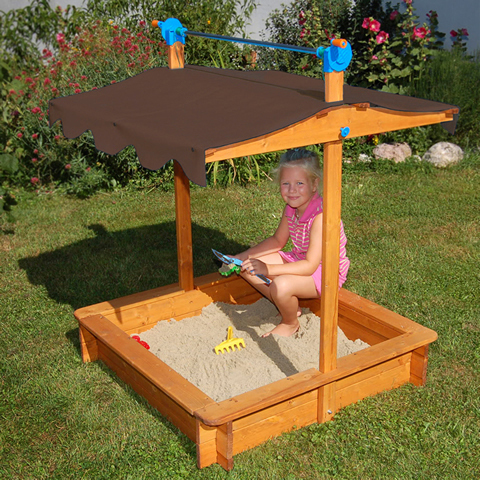 The Felix Sandbox by Gaspo is a smaller version of the Maxi Sandbox, without a built in storage area. Roof canopy protects against sunlight, rain and keeps the sand sanitized and clean when closed. 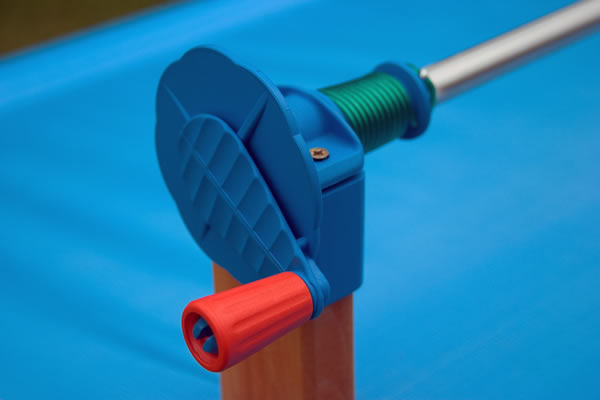 Raising and lowering the roof is easyvia the safety lockable crank handle. The smoothly finished wood features softened corners and is treated with an ecology protective water based preservative. 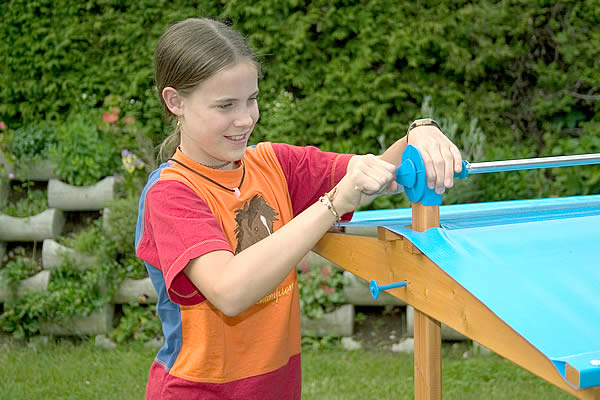 The Felix Sandbox by Gaspo is a smaller version of the Maxi Sandbox, without a built in storage area. Roof canopy protects against intense sunlight, rain and keeps the sand sanitized and clean when closed. Raising and lowering the roof is easyvia the safety lockable crank handle. The smoothly finished wood features softened corners and is treated with an ecology protective water based preservative. 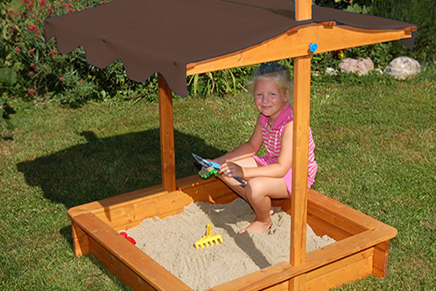 Sandboxes are treated with a waterbased child safe stain and constructed from PEFC certified spruce and/pine wood.